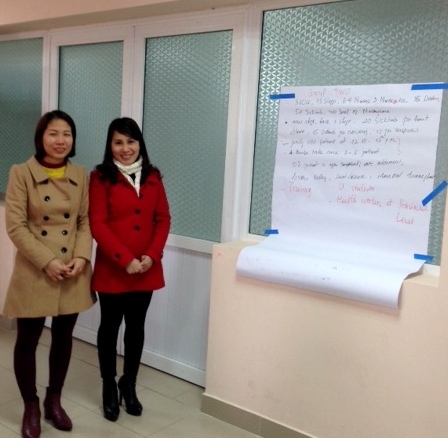 English Course for Nurses Completed! 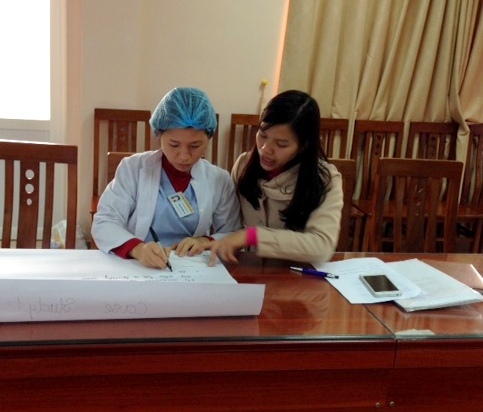 In October 2015, MEDRIX Executive Director LaRelle Catherman led a nursing leadership course at National Pediatric Hospital in Vietnam, designed to empower and encourage head nurses of critical departments. 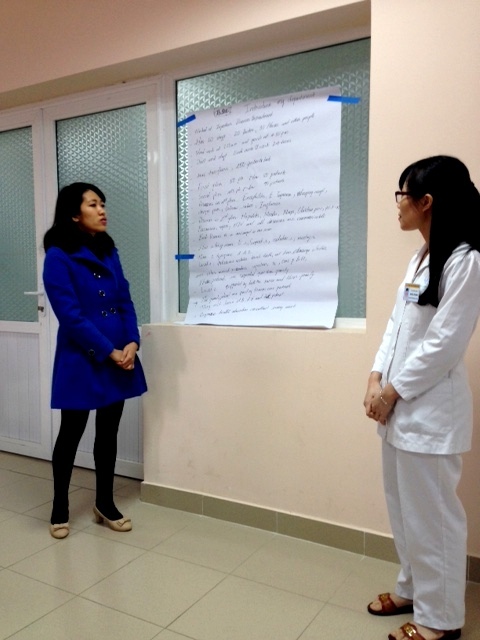 Upon course completion, our partners asked MEDRIX project manager Ms. Ha to teach a conversational English course to the same group of nurses who felt that more practice and understanding of English would benefit them greatly for future courses and to help international patients. 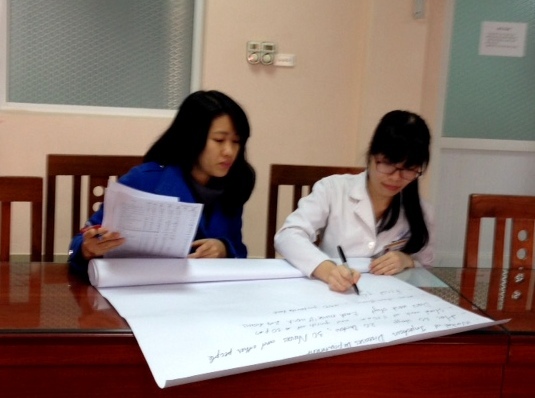 Ms. Ha agreed and coordinated with Ms. Thuy at National Pediatric Hospital to present a practical course that emphasized active learning instead of lecture. 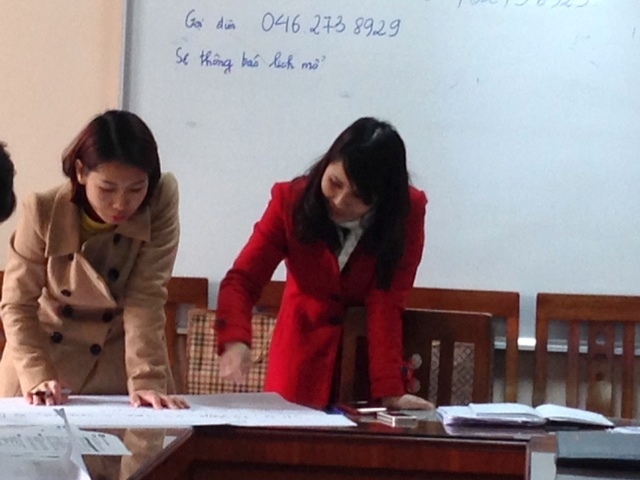 The course began in December 2015 and concluded in late January 2016. 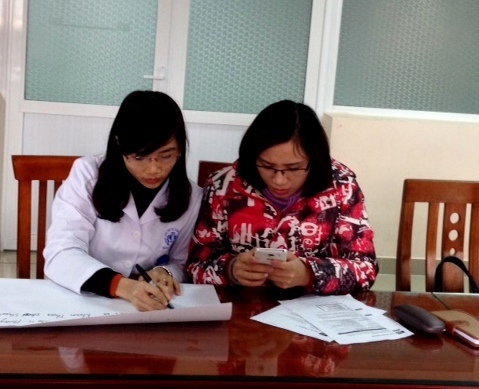 The nurses worked very hard to practice their English and add to their knowledge, and MEDRIX is very encouraged at their results. At the end of the course, the nurses presented specific medical cases in English in front of their colleagues and are very confident in their skills! MEDRIX would like to thank Ms. Thuy and Ms. Ha for being excellent teachers and mentors, and for supporting this special course. We believe it will be a long-term benefit to the nurses, and thank all of the participants for their passion and dedication to continue practicing and honing their skills as nursing professionals. 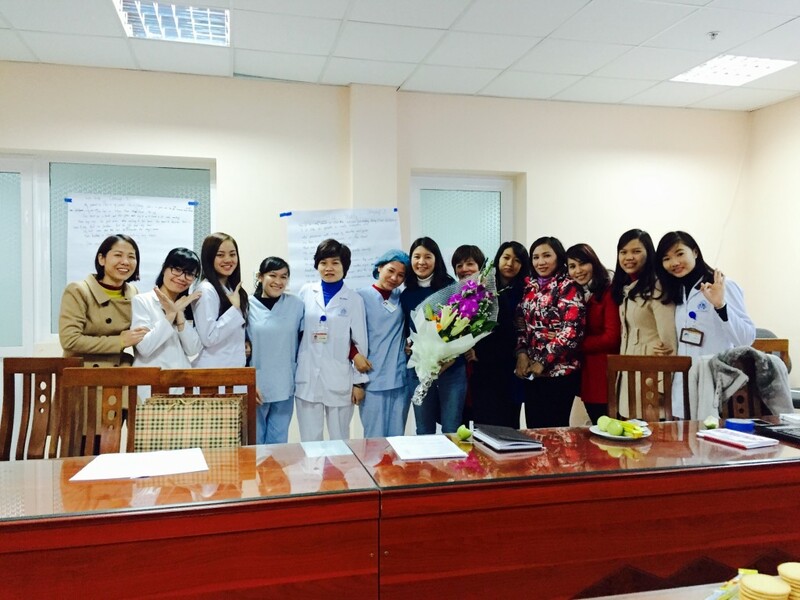 Ms. Ha and participants celebrate the completion of the course!